When planning a Walt Disney World vacation, there is one thing that is going to be glaringly obvious: the trip is expensive. While you are picking your resort and ticket options and add ons and dining reservations, all you are seeing is the credit card bills flooding your home. Yes, a Disney vacation is going to be one of the most expensive vacations you will take in your life and it can be overwhelming trying to make sure you appease your entire party while not blowing your child’s college savings fund. So what can you do? Is there any help for you? Of course, depending on your needs there are always going to be ways to save some money. Here we are going to cover 12 tips that you will help you my break the bank while having the vacation of your dreams. It’s easier than you think and this tips will work whether you are coming from a quick weekend getaway or a weeklong extravaganza of epic proportions. So here we go! 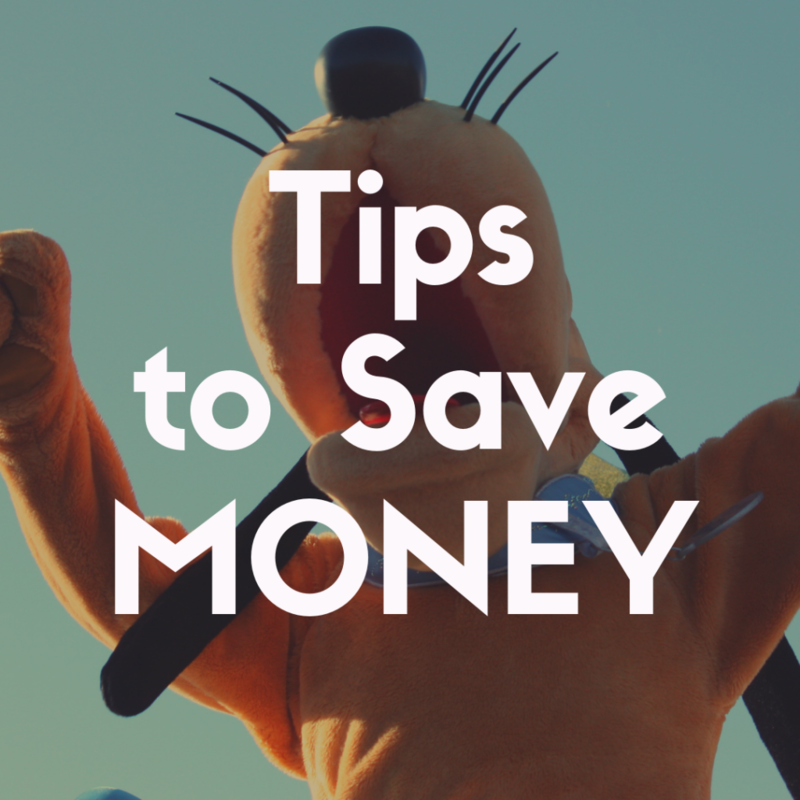 Start Planning Early: This is going to be one of the most common tips when asking anyone about how they saved money on their Disney World vacation and it is going to be the best tip you receive. Whether you are flying on a plane or renting a car, the best deals you score are going to be planned in advanced. Hotel prices become more expensive the closer you get to your Disney vacation and packages are going to be cheaper the further out you plan. Also, for budgeting purposes you are going to allow yourself more time to save and pay which is beneficial. So if you are thinking about visiting Disney in the next couple of years make sure you start planning now. Even dining reservations can be selected 180 days out so you are definitely not going to be the only one trying to get your trip planned early. 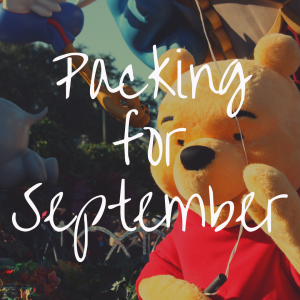 The moment you get that inkling that it is time for a family vacation to Disney world, start planning. It could save you hundreds of dollars. Use a Travel Agent: Now it may seem simple to plan your Disney vacation, and it is possible with its user friendly interfaces, but travel agents are where it is at. They have access to Disney deals you won’t know about and many specialize specifically with Walt Disney World Resort. This allows for them to know what is going to be the best fit for your family. They will work within a budget allowing you to not have to do the work and provide you with best possible cheap Disney vacation with all of the magic intact. This will also include picking the best ticket package for you which will help you save money before you even set a foot in Disney World. 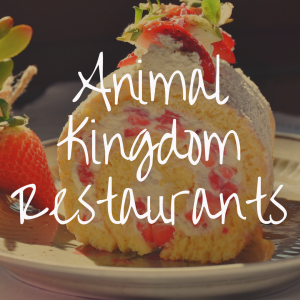 You can discuss whether or not the Disney dining plan will suit your family or if they are any deals on the dining planning which can save a lot of money. 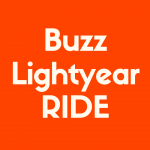 Skip the Park Hopper: Now I love parking hopping as much as the next Disney guest but if you are trying to do Disney on a budget, this is going to be an easy way to save some cash before you even get to the theme parks. It is possible to spend a whole day at each park without zooming off to the next one and you’ll have some extra cash to save as well. You won’t be missing out on too much just spending one day in each park. 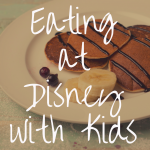 Skip the Disney Dining Plan: The topic of whether or not the Disney Dining Plan saves a family money will be debated until the end of time when it comes to Disney Vacation planning, but unless you are going to eat at a character buffets for every meal and snacks galore, you most likely aren’t going to get the bang for your buck out of the Disney Dining Plan. Now don’t get me wrong, it is a wonderful way to make sure your vacation is paid for before you even get here, but if you are looking to save money then skip it. You’re not going to be eating a steak for every meal while on vacation and budget out how many quick service and table service meals you think your family will need and save the money appropriately (or even load some Disney gift cards) and you will be saving a minimum of hundreds depending on the size of your family on food alone. You also might want to read: The Best Stroller Rental for Disney World? Bring Your Own Stroller: Now there are a lot of stroller options when planning your Disney vacation whether it is renting from the theme park itself or a stroller from any of the Disney or non Disney vendors, but nothing is ever going to beat the price of free if you already own one. This can also be a way to save some hassle when navigating through the airports but it will be a quick way to save a hundred or so bucks and still be able to transport your child throughout your Disney days. Another huge perk of bringing your own stroller is that you already know how to fold and unfold it saving you an embarrassing learning curve. Bring Your Own Refillable Water Bottle: You are going to get hot while running around that hot Florida sun all day and with all that cardio, one thing is for sure, you will get thirsty. Now buying drinks for your entire family during your vacation is going to add up fast. Instead of stopping at every food kiosk and grabbing drinks for the whole family, bring your own refillable water bottles that you can fill up at water fountains! If water isn’t your family’s go to, you can always purchase the drink packets to change your water into iced tea or lemonade. This will save you hundreds of dollars and be a great way to stay hydrated! You can either pack them from home or pick some up when you get here too! 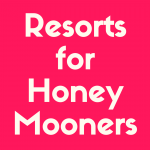 Plan a Non Disney Park Day: Whether you decide to head down to the pool for the day or go down to Disney Springs and relax, or maybe even resort hop and see what all of Disney has to offer, plan a non theme park. This is going to be a way to have some little extra magic in your day without the added cost of admission for another theme park. You can go head to Fort Wilderness for all of their outdoor activities or go take a ride on the monorail and enjoy all the resorts on the loop. 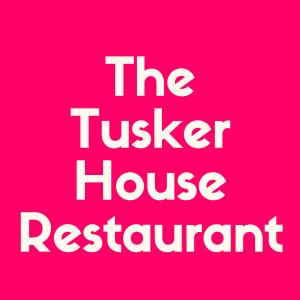 Have a small meal at the resort or if you’re in a villa cook a nice dinner and just take it easy. You’ll feel refreshed for the rest of your Disney vacation and save some money in the meantime. Souvenir Shop Anywhere But There: One of the biggest expenditures while actually spending your days at the theme parks is the impulse to buy souvenirs. I mean everyone wants their own special material object to remember their vacation and when you exit almost every attraction, you are going to be dropped into a store that will remind you how badly you need to buy something. To save yourself some serious bucks, head to any store near the theme parks and you will see tons of Disney merchandise for a much cheaper price. Now the hidden gem is really the Character Warehouse. Located off Disney property, it is just a short uber ride away to get you to a haven of all the best Disney merch at a much cheaper price. You can use your Disney down day to take a trip over to the Character Warehouse, load up on some souvenirs and feel the joy of saving all that cash. Join Disney Forums and sign up for Disney Emails: This may seem like a given but it seriously is a luxury when planning your vacation. Websites like Mousesavers can save you big bucks and most of the forums have avid Disney fans that will have tips and trips that will forever help you throughout your planning journey. Also, Disney emails are going to be your first chance to know what specials Disney is running and if any special events are coming up allowing you to plan properly. If you see something huge looming in the distance then you are going to know to be more wary that it could become a peak time and prices could increase. The more Disney information you have coming to your email inbox the best shot you are going to have making the most educated decisions while having the biggest bucks being saved. Use the Disney Transportation: I know for some people this is hard. Being in a place you barely know and stripping yourself of a car can be intimidating, but the amount of money you will save by not renting a car or taking an Uber everywhere is going to be huge for your wallet. This is a cost that could save hundreds of dollars depending on how long your vacation is. So as difficult as it seems to ditch the car, your wallet will surely appreciate it. The buses, boats and monorails already know where they are going so you won’t have the headache of getting lost or personally dealing with traffic and you can have the luxury of not having to worry where your car is parked at the end of the day. Yes that is right, you get free parking at the theme parks which can save up to one hundred dollars for some depending on the number of days you are doing. Parking is $22 a day at the theme parks which can add up quickly. So if you are looking for a long term way to save some money on a few vacations, take a serious look at someone having an annual pass. Disney Freebies: Do your research! There are so many hidden freebies throughout the Disney property that having the information available before you arrive is going to significantly reduce the amount of time spent trying to find freebies on your own at the park. One of my favorite freebies is the celebration pins. You can pick one up for the entire family at the front of the theme parks or guest relations. It is a small token to always keep with your family. But not only are there pins, you can also find free cups of iced water any kiosks and quick service locations, The Cool Club with an international soda collection to taste for free, free concerts at Epcot, free event books, free leis at the Polynesian Resort, movies under the stars at the resorts, Sorcerers of Magic Kingdom Spell Cards, maps, stickers, and PICTURES. Yes, you can purchase the Memory Maker and get unlimited pictures taken at some of your favorite picture opportunities, but you can also just bring your own camera and phone and have the cast members take your picture themselves. It’s perfect. The great moment captured without that high price you need to pay. And this is just the beginning of a long list of freebies you can find with just a quick google search. So when booking your Disney Vacation, don’t let your budget completely go to waste. Find what you can spend and see where you can trim, While you are planning just remember to go back to your list of tips and feel the burden of the financial stress lift while packing in the all magic you can. Even on a budget you will still have the most magical vacation your entire family can dream of!